This album is dedicated to the memory of Sam Sanders, beloved pianist and mentor, who once shared with me that Bruch’s Scottish Fantasy was his favorite piece in the violin literature. I think of him and miss him every time I play it. and everyone at Kirshbaum Demler & Associates, Inc. It all started in Little Rock, Arkansas. In 2001, the Wildwood Festival invited me to give a recital built on the theme of “Scotland.” Works like Bruch’s Scottish Fantasy and Beethoven’s Variations on National Airs came immediately to mind, but I wasn’t sure that there would be enough classical repertoire for a complete program. Searching for hidden gems at Chicago’s Newberry Library, I quickly found enough music to fill at least 10 recitals. The challenge was choosing what not to play. Wonderful books by David Johnson and John Purser not only discussed classical music, but exposed me to the connections between Scotland’s classical and folk music. It was fascinating to learn about the influence of classical violin playing on traditional fiddling in the 18th century. In turn, Scottish folk music has inspired numerous classical compositions throughout the last three centuries. 19th century Spanish violin virtuoso Pablo de Sarasate’s great affinity for Scotland and its folk music is well documented. Bruch dedicated his Scottish Fantasy to Sarasate. At Sarasate’s request, Mackenzie wrote his Pibroch Suite. Sarasate himself wrote a piece called Scottish Airs. Each of these pieces utilizes traditional Scottish folk tunes – a wonderful theme for a recording project. As the project evolved, it was suggested that I collaborate with the renowned Scottish fiddler Alasdair Fraser on a short twin fiddle piece. Alasdair and I first met in 2003, when he headlined Chicago’s Celtic Fest. I’ll never forget playing a melody from the Prince Charlie Rhapsody and hearing Alasdair pick up his violin and improvise a beautiful descant. Our approach to music was so similar; I was thrilled by the possibility of working together. Alasdair’s contribution to this album goes far beyond our twin fiddle medley. He helped me identify each folk tune in the classical pieces. He acted as a “dialect coach,” showing me how the original versions would be played by an authentic fiddler and identifying spots in the music where the limitations of 19th century notation failed to capture an effect accurately. By incorporating as much traditional Scottish flavor as I could, I have tried to bring out the roots of these sophisticated symphonic works. Given Sarasate’s familiarity with Scottish fiddling, I suspect that he also may have added “gaelicisms” to these pieces when he performed them. 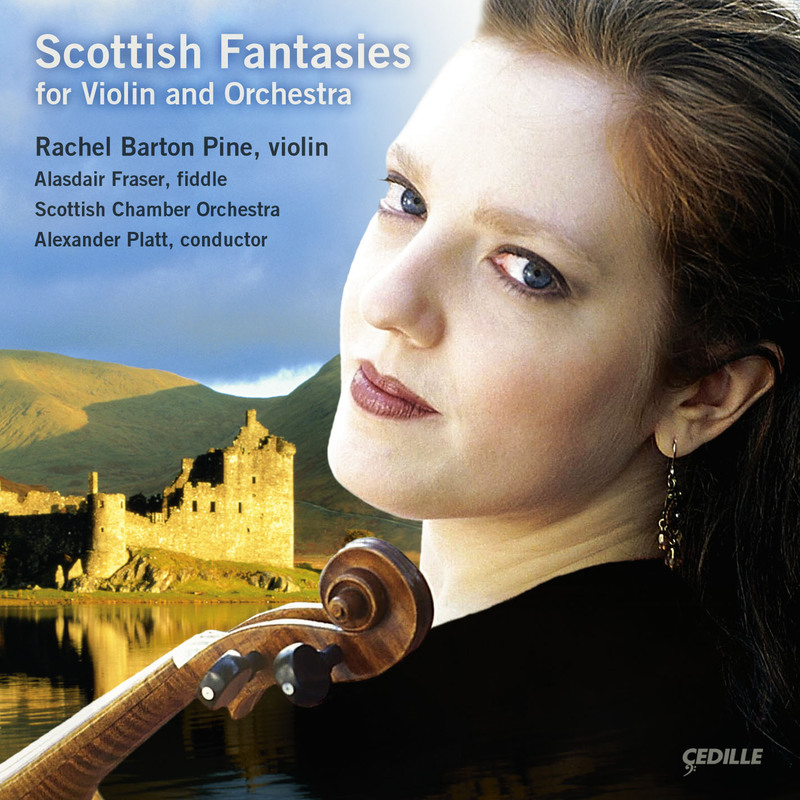 This raises an intriguing question: If the Scottish Fantasy had been composed in the 21st century, would it be considered a “crossover” fiddle concerto rather than a German classical violin concerto? I hope that this recording expands your appreciation of Scottish folk music and that you enjoy the glorious works for violin and orchestra that bring these beautiful fiddle tunes into the realm of high art.